What is a surety bond, and why do I need one in order to register as a Professional Photocopier? A surety bond is a three-way agreement between a Principal (the person registering as a professional photocopier), an Obligee (your County Clerk), and a surety company (the company financially backing the bond). A surety bond does not cover a Principal like an insurance policy would. Instead, a surety bond is a protective measure for the Obligee – in the event that the Principal violates the terms of the California Business and Professional Code Chapter 20, Section 22450, Division 8, the county public are free from any damages resulting from misconduct or negligence in regards to the transmittal of confidential documentary. You must file this bond with the County Clerk before you are able to register as a Professional Photocopier in California. A professional photocopier is any person who for compensation obtains or reproduces documents authorized to be produced under Part 2.6 (commencing with Section 56) of Division 1 of, or Chapter 1 (commencing with Section 1798) of Title 1.8 of Part 4 of Division 3 of, the Civil Code, or Section 1158 of, or Article 4 (commencing with Section 1560) of Chapter 2 of Division 11 of, the Evidence Code and who, while engaged in performing that activity, has access to the information contained therein. A professional photocopier shall be registered pursuant to this chapter by the county clerk of the county in which he or she resides or has his or her principal place of business, and in which he or she maintains a branch office. This bond is written for the amount of $5,000 for 2 years, and the Principal pays a rate of $150 for the 2-year term. There is no underwriting required for this bond, and therefore no credit check during the application process. In the event that the Principal violates the terms of the California Business and Professional Code, Chapter 20, Section 22450, Division 8, there will be a claim filed against the bond. The surety company will cover any initial damages, at which point the Principal is legally obligated to repay the surety in full, including any associated fees or penalties. In addition to repayment, the surety may revoke the bond, at which point the Professional Photocopier registration will be invalid until a new bond is filed. It is important to understand the guidelines and terms of your registration to avoid claims against your bond. A claim is a mark against your bond “credit,” and a history of claims will complicate any future bond applications. 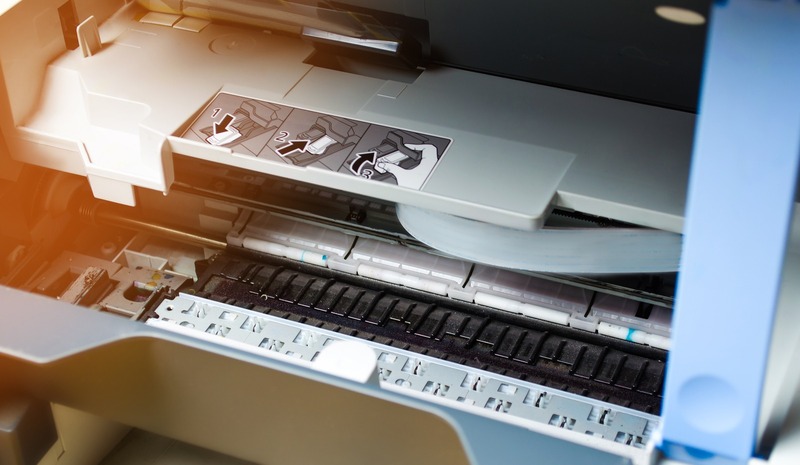 This bond ensures the Professional Photocopier will comply with all requirements of the California Business and Professional Code Chapter 20, Section 22450, Division 8. This bond protects the public from any damages caused by the misconduct or negligence by the Professional Photocopier. Any individual who is registering as a Professional Photocopier with the state of California is required to file this $5,000 bond before the registration is complete. A certificate of registration shall be accompanied by a bond of five thousand dollars ($5,000) which is executed by a corporate surety qualified to do business in this state and conditioned upon compliance with the provisions of this chapter and all laws governing the transmittal of confidential documentary information under the code sections specified in Section 22450. This bond is $150 for a 2-year term. This flat-rate bond requires no underwriting, and therefore no credit check during the application process. To apply for your California Professional Photocopier Surety Bond, complete and submit the application below. You may also download a .pdf application, and email it to apps@southcoastsurety.com, or fax it to (949)361-9926. If you choose to email or fax your application, please download and complete a payment form and attach it to your documents.